I was out and about most of the day running errands and taking care of all the business I put on hold during the carefree holidays. I stopped to take some photos at the local duck pond and I was the only one there. I suppose the freezing temperatures are keeping most people inside this week. gorgeous ducks and nice details, I like how their eyes shine! They are cool ducks! I love their markings! What neat focus on these ducks - love the feathers and those eyes. Wonderful capture with such beautiful detail ...and the ducks' eyes are so bright! Aren't they beautiful?! I love the pastel blue of their beaks. They are so cute. Wonderful colouring. 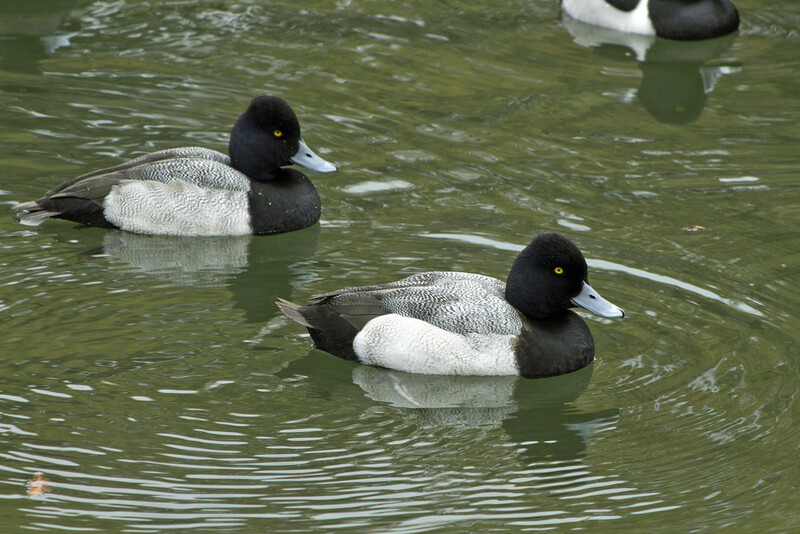 Lovely-looking ducks. Beautiful clear capture of them. It has been so cold here too. Freezing hands when taking out the camera. So well done to you for grabbing your shots while you could. The ducks look delightful. These are lovely! You are very committed to brave the cold, too. I have barely left my house voluntarily in a week. Their markings are really beautiful!